When it comes to issues related to immigration, it is very important to seek out a dedicated attorney who can assist you in navigating the complicated laws and procedures associated with entering the United States. At the Law Offices of Khachik Akhkashian our attorneys have a solid understanding of the laws and surrounding the immigration process. Individuals may want to immigrate to the United States for any number of reasons. Whether you desire to reunite your family, seek a better life, or pursue a more lucrative career, it is very important to have a realistic understanding of the complicated process surrounding immigration. A Glendale immigration attorney can assist you throughout these complicated proceedings so that you do not have to worry about making a costly mistake or ruining your chances at a smooth transition. There are many different aspects of immigration law. Depending on the circumstances and details surrounding your desire to immigrate, the legal processes involved can be exceedingly complicated. Immigrating into the United States for the purposes of reuniting your family or to join a family member already in this country brings with it a different set of procedures and paperwork than if you are immigrating for reasons related to a job or career. Our attorneys have successfully helped clients through all different kinds of immigration processes. Whether you need assistance obtaining immigrant visas, non-immigrant visas, citizenship, green cards, family based green cards, employment based green cards, visas, or if you need legal representation in response to a possible deportation/removal, our firm is here to help. With our legal team by your side, you can rest assured that your transition into this country will be smooth and headache free. Immigration law can be very complicated and failing to follow procedures and guidelines can result in significant delays and other problems. 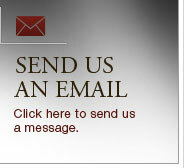 Our attorneys will work closely with you so that you never have to worry about taking a step in the wrong direction. Call our firm today to discuss your needs so that we can start compiling the forms and information necessary to expedite the immigration, visa, or green card process. Your future and the future of your family are too important to leave in the hands of a less capable law firm. 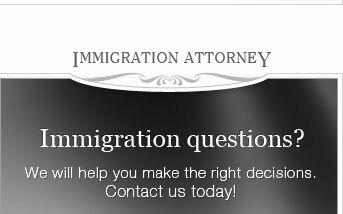 Contact a Glendale immigration attorney to obtain sound legal advice in relation to any immigration related issue or problem.